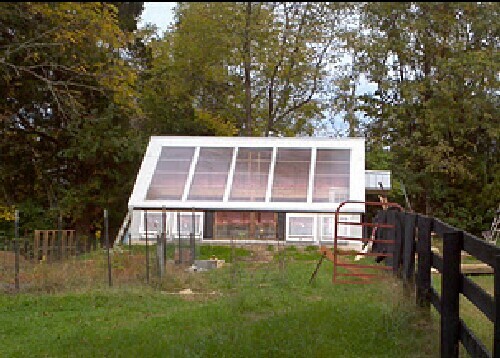 Ross Brown of Madison County Kentucky has built a 10'x21' backyard solar greenhouse (BSGH) using the Subterranean Heating and Cooling System (SHCS). 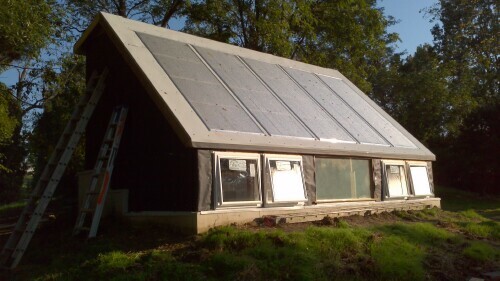 This solar-greenhouse project was inspired by http://www.roperld.com/science/solargreenhouses.htm#SHCSBY. The south side is raised up a few feet to give more head room; It would be too low at 10' wide otherwise because of the 45° roof angle on the south. 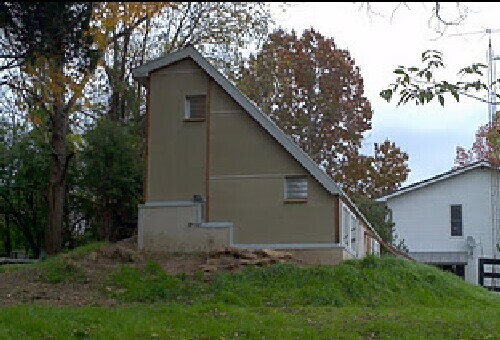 Note that, instead of a 60° roof angle on the north, the north wall is vertical. 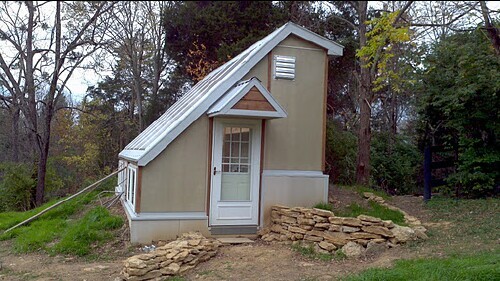 This allows for a higher peak for the 10' width. 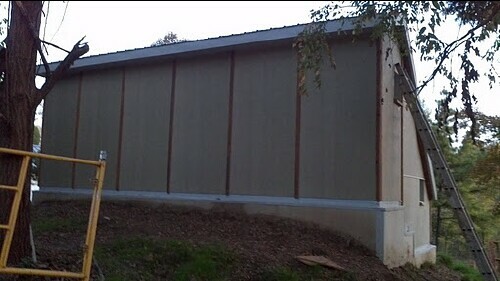 The walls are layered outside to inside as follows: Hardie Board, 15-lb roofing felt, OSB board, 2'x6' studs and fiberglass insulation, 6-mil plastic VB, Hardie Board.